The 54 Fly from Cruisers Yachts is the perfect on-the-water escape. Grab a drink at the wetbar and grill out with friends from the heightened perspective of the of the flybridge. With three staterooms, a Master, VIP and guest, there is plenty of room for family and friends to stay onboard. 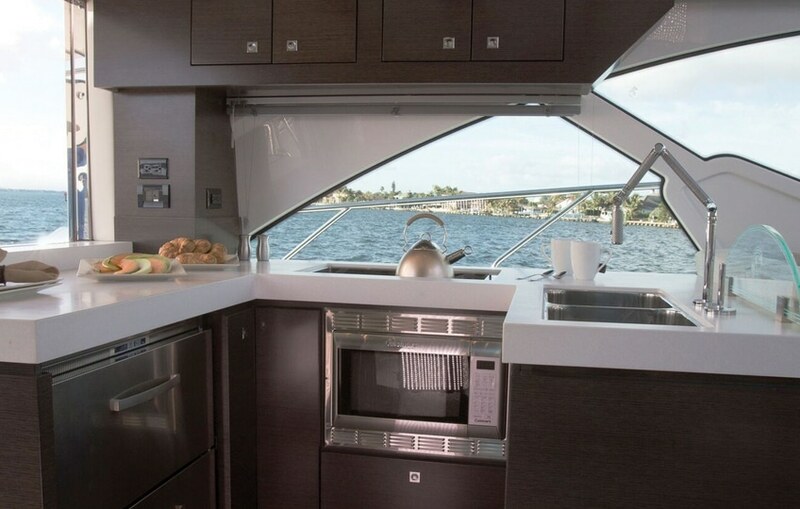 Prepare anything on the menu in the fully equipped galley which is efficiently crafted and positioned for ideal functionality while entertaining. Imagine setting forth on a yacht that announces to the world that a renaissance of style and innovation is upon us. Awe-inspiring and free-spirited, the 54 Fly was envisioned for those who live joyously spontaneous lives on and off the water. 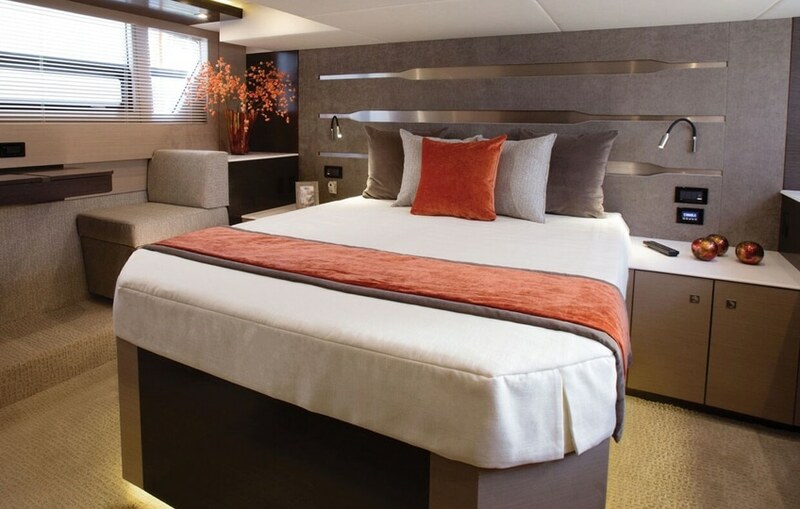 Three luxurious staterooms, refined appointments and ingenious features all exemplify perfection. It’s awe inspiring flybridge is the perfect place to relax underway or at anchor with friends to take in the beautiful scenery. But it is the manner in which the 54 Fly seamlessly integrates living spaces with gentle breezes and starlit nights that truly evokes passion. The 54 Fly is in-stock and available for sea trial, contact us today. Contact a Galati Cruisers Specialist Today!